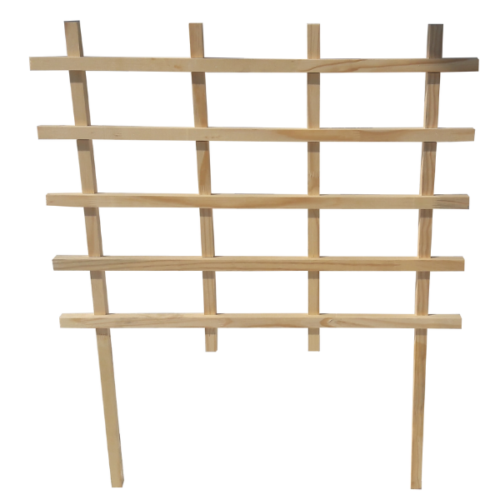 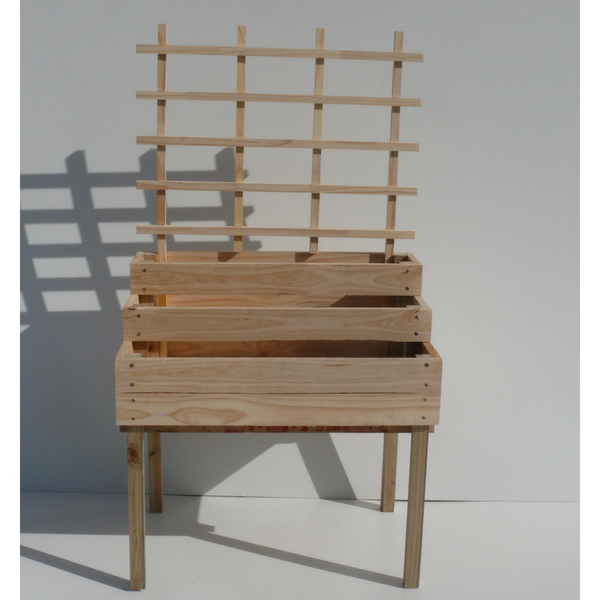 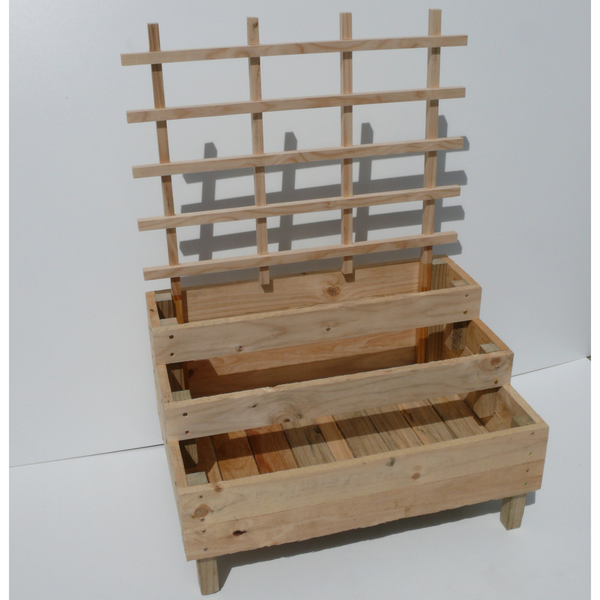 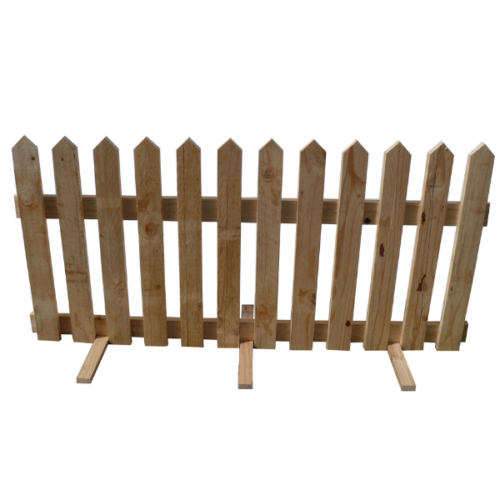 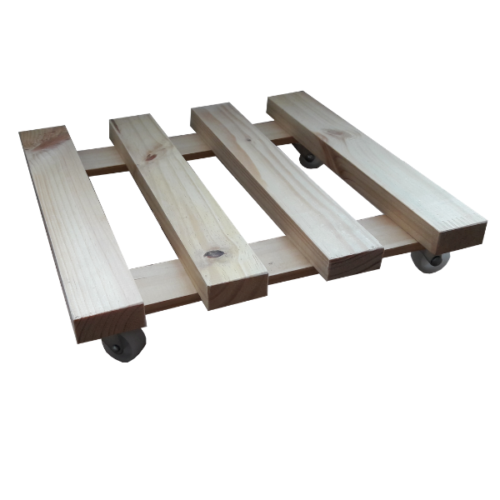 We make our trellises with planed smooth pinewood (22 x 22 mm), ‘dado’ jointed and fastened using rust-resistant screws. We do NOT use that flimsy “Made in China” stuff, which is stapled together and will not last long. 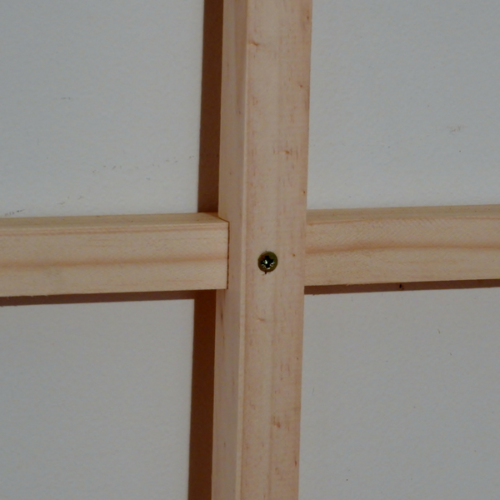 The two extended uprights are sealed with a marine grade wood preserve for lasting protection. 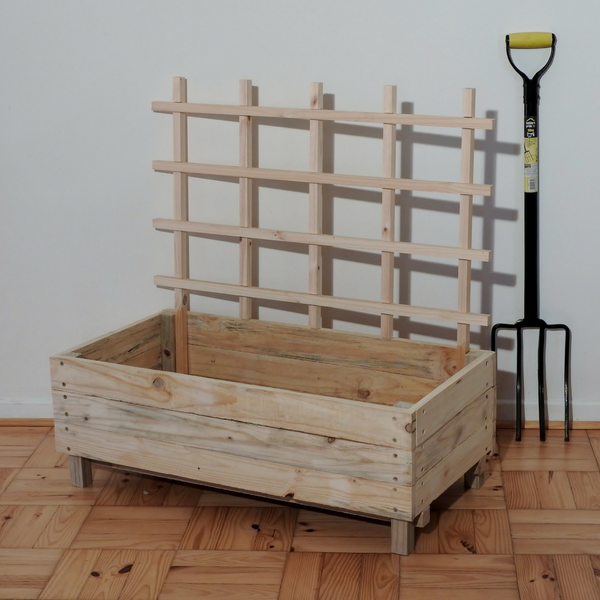 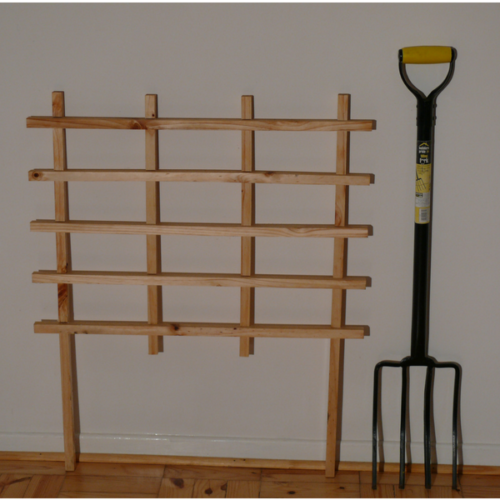 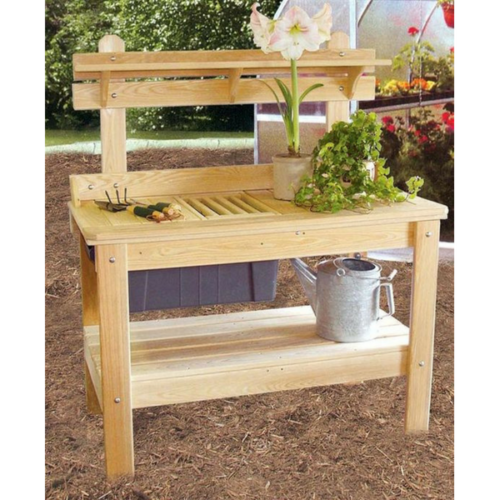 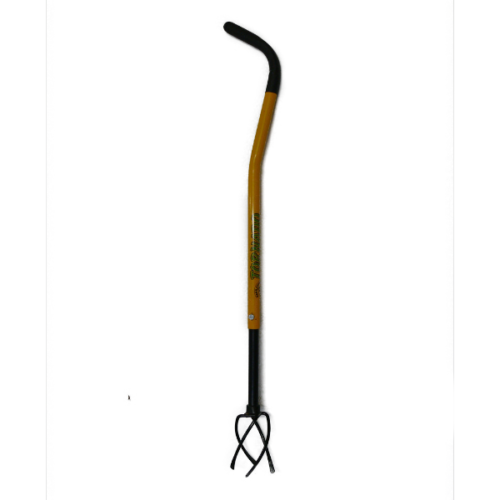 The trellis can be stuck inside the planter or screwed to the back of it.